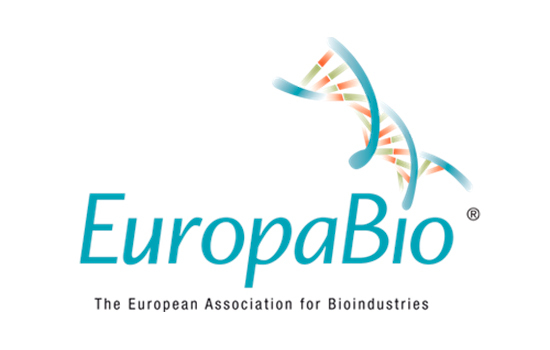 EuropaBio is delighted to announce Genoscience Pharma, Lactips and Phytowelt GreenTechnologies as overall winners of our Most Innovative European Biotech SME Awards 2018 in the categories of healthcare, industrial and agricultural biotech, respectively. Runner’s-up awards in this year’s competition, were presented to Medicortex and CHAIN Biotechnology in the healthcare biotech category, to Kaffe Bueno in the industrial biotech category and Alkol Biotech in the agricultural biotech category. This year’s Most Innovative European Biotech SME Awards saw 40 companies, from across the EU, competing for the three coveted awards, acknowledging their outstanding contribution towards tackling grand challenges through the application of biotechnology. The awards were presented during a dinner ceremony in Brussels on 3 December hosted by MEP Dr. Paul Rübig, where each of the finalists took part in a ‘pitching session’, going head-to-head, across the three categories, and presenting their innovations to the audience. The keynote speech was given by Deputy Director-General Wolfgang Burtscher, of DG Research, Science and Innovation at the European Commission, who highlighted biotech as a Key Enabling Technology which will continue to play a core role in delivering on the aspirations of Horizon Europe. EuropaBio Secretary General, Joanna Dupont – Inglis, added: ‘We are in awe of the work of these SMEs and start-ups. They are on the front line in the development of biotech solutions for people and planet. Their vision, perseverance and achievements are truly inspirational, and we are proud to honour them with these annual awards. Genoscience Pharma is an innovative SME located in Marseille, France, that is in product development phase with their therapy against cancer stem cells, which are considered to be responsible for treatment resistance and mutation. Genoscience’s drug candidate has the potential to reduce the frequency of relapse when combined with chemotherapy. Lactips is specialised in the development of eco-friendly plastic raw material. One of the materials they manufacture is the only thermoplastic, sound and clean bio-based and biodegradable material worldwide to be water-soluble at room temperature and made of milk protein. These outstanding properties are brought by the industrial mastering of the transformation of milk protein into processable polymers. To help with its project investment and recruitment activities, Lactips received funding of EUR 1.5 million from the EU Horizon 2020 SME Instrument phase 2. Phytowelt Green Technologies is an SME focussing on plant-breeding projects that aim at enabling regional production of renewable resources. It is the first company able to produce a biotech raspberry fragrance in high quantity and quality without using energy inefficient petrochemical processes, which helps meet the big and unmet demand of the perfume, food and cosmetic markets for natural fragrances and flavours. Medicortex Finland (FIN) is a promising SME that is still not on the market but managed to raise €1.1M funding from private investors. Medicortex is dedicated to improving the diagnosis, treatment and prevention of acute neurodegenerative conditions and is currently focusing on developing a diagnostic kit for the detection of traumatic brain injury. CHAIN Biotechnology (UK) is a microbiome company focused on the development and commercialisation of microbial technology for the production and delivery of biotherapeutics to the gut. The UK-based company’s technology has the potential to be highly disruptive both in terms of cost but also efficacy for the treatment and prevention of chronic and debilitating gut related diseases. Pre-clinical tests with their lead product showed a reduction of inflammation implicated in bowel diseases. Kaffe Bueno (DK) is a coffee recycling company founded by Colombian natives based in Denmark. The company combines used coffee grounds with biotechnology to create healthy ingredients to be used in pharmaceutical applications. Next year, they will open Scandinavia’s first coffee biorefinery where they will process coffee waste from Copenhagen and extract its oil and other bioactive compounds. Alkol Biotech (UK) started three years ago and aims at developing new plant varieties able to grow in colder and drier climates offering better resistance to pests and diseases and higher productivities in order to meet the needs of the bio-based markets. This year, they signed a letter of intent for the sourcing of up to 500 thousand tonnes of non-woody lignocellulosic biomass to what would be Europe’s largest biorefinery.